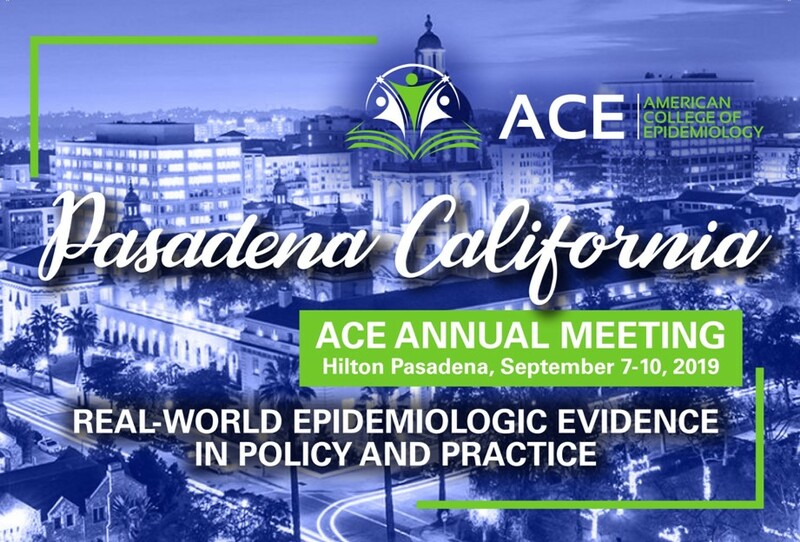 With “Real-World Epidemiologic Evidence in Policy and Practice” as the theme for this year’s meeting, we will highlight the contributions of epidemiology to the use of real-world evidence in policy and practice, spanning public health to clinical care. Epidemiologists represent the discipline that is focused on asking and answering questions about health and disease in human populations, often in observational settings. Questions asked and answered in real-world settings can provide important insights that may not be obtainable from the idealized settings of randomized controlled trials. Compared to randomized controlled trials, the use of real-world evidence can: a) significantly reduce time and cost of evidence development for regulatory and policy decisions; b) fill evidence gaps in under-represented populations; and c) fill evidence gaps about rare and long-term safety outcomes in larger populations. Organizations such as the FDA are now required to consider real-world evidence to support their regulatory decision-making in areas such as drug, device, and vaccine safety. Information from real-life clinical settings, such as from electronic medical records, is increasingly being used to address public health, regulatory/policy, epidemiological, and clinical questions. Abstracts highlighting research conducted across the spectrum of etiology to policy to implementation and evaluation based on real-world data are especially encouraged. Hotel Accommodations - Reservations are now open! Call for Abstracts: The submission site for abstracts to be considered for poster and selected oral presentations at the Annual Meeting is now open! Abstract submission deadline: May 1, 2019, 5:00 pm EST. Click here for submission guidelines and more information. Click here for the abstract submission site. Call for Abstract Reviewers: The ACE Publications Committee is currently organizing Conference Abstract peer-review and seeking volunteers. To sign-up, please complete the online form by April 12, 2019 by clicking here. Job Fair: Information to come. Employers seeking to advertise open positions may contact Maurizio Macaluso or Sarah Geiger. New this year! 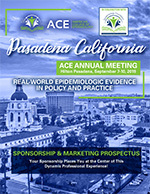 ACE, in conjunction with the Epidemiology Foundation, is offering a variety of Annual Meeting Sponsorship opportunities that focus on the best ROI for your investment! Click here for the prospectus and registration form.